Explore the Denver area’s winter wonderland – the Front Range of the Rocky Mountains – on a snowshoeing tour! Just 30 minutes outside Denver, Colorado’s Front Range has hundreds of trails that allow you to enjoy the wintertime wilderness (Nov to March). 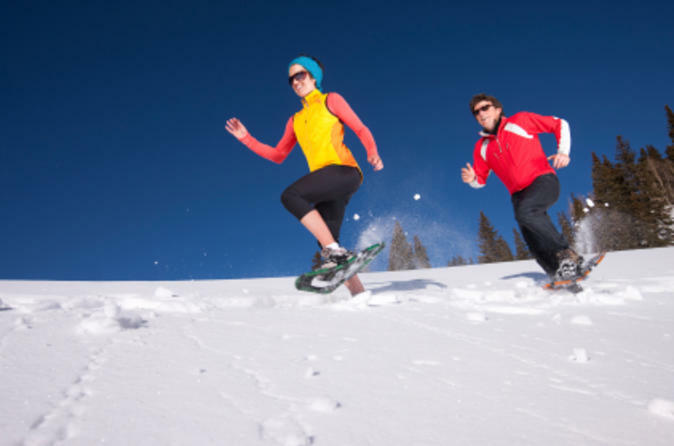 Prepare to enjoy the great outdoors on your wintertime snowshoeing experience. Surround yourself with pine forests, spectacular rock formations and other natural features that make up the Front Range’s beautiful scenery as you follow your guide along a single-track trail. All experience levels are welcome! Your naturalist guide will provide your snowshoes and select a trail to suit the needs and skill levels of your group.